Let's have a different Friday night! 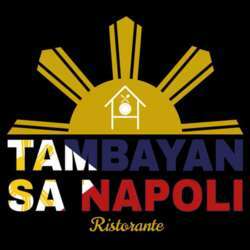 This time let's enjoy one of the best ethnic restaurants in Naples, namely a Filipino restaurant. Let's explore, taste and enjoy a new food culture together. I will meet you all @Tambayan, a very nice place, recently opened and they are glad to host us but, as the venue is not very big. Please it is very important that you confirm your presence as soon as possible. See you this Friday night!